Not me, for sure. I don't fear death a bit. But sometimes I fear the internet. 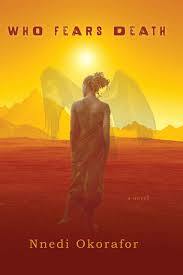 Yes, HBO is developing Nnedi Okorafor's novel WHO FEARS DEATH as a series. Yes, I am attached to the project, as an Executive Producer. I am pleased and excited to confirm that much. 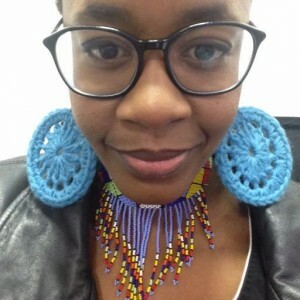 I met Nnedi a few years ago, and I'm a great admirer of her work. She's an exciting new talent in our field, with a unique voice. Even in this Golden Age of television drama, there's nothing like WHO FEARS DEATH on the small screen at present, and if I can play a part, however small, in helping to bring this project to fruition, I'll be thrilled. As usual, however, the internet is blowing this story all out of proportion, at least in regards to my own participation. I will be an Executive Producer on WHO FEARS DEATH but I will not be the Executive Produce, i.e. the showrunner. That's an important distinction. Should we move forward, there will be a number of Executive Producers, and probably some Co-Executive Producers and Supervising Producers and Producers as well. This is television. I will not be writing the pilot script or adapting Nnedi's novel, and it's doubtful that I will write any episodes should we go to series. Look, I probably won't be writing episodes of ANY television shows until WINDS OF WINTER is done and delivered, and that goes for the five GAME OF THRONES successor shows as well. Other writers will be scripting those pilots, and the same is true for WHO FEARS DEATH. Last week we spent most of an afternoon interviewing some great young talents, in hopes of finding the right person to script the pilot. I was part of that process, and Nnedi was too. No deal yet, but we may have an announcement soon. It should be stressed that this project is still in its early stages. There's a long road ahead. Pilot script, pilot order, series order. But the hope of everyone involved is that, by the end, we can produce something truly special. So, if you can say it(Since it doesn't seem the story is going back to the Rhoyne) is there really is a Shrouded Lord still living through the ages?